It’s called the Knowing-Doing Gap. Your managers know what to do (you’ve trained them well), but they don’t actually do it. When we get busy or stressed we forget to apply our new skills and default to our old ways. 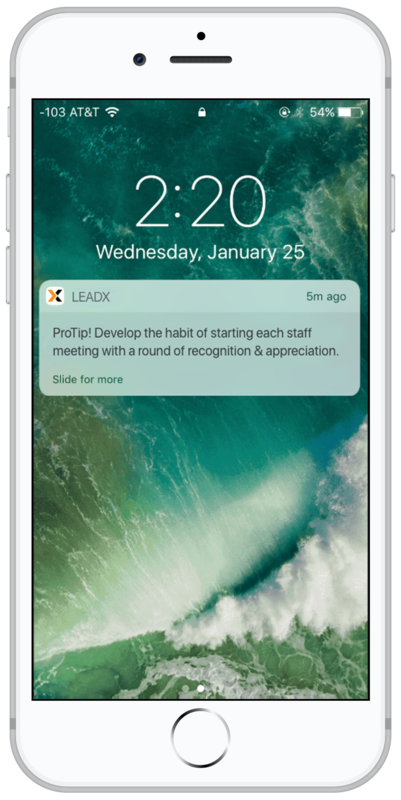 With LEADx Nudge Stream you can apply nudge theory to gently remind your managers to lead with their best selves. AI-driven and personalized, each nudge is designed to trigger specific behaviors around things like recognition, coaching, employee engagement and more. Timely, personalized reminders for busy managers. Now featuring behavioral nudges for effective leadership development and management training.